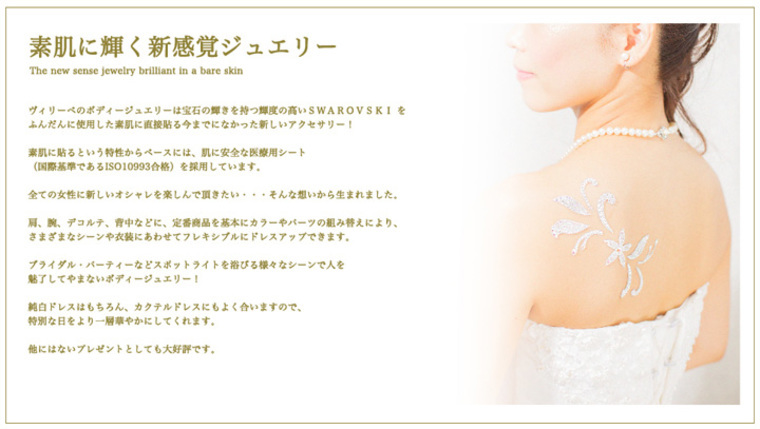 "Body Jewelry Viliebe" that sells body jewelry made in Japan. [en] [Viliebe Body Jewelry] Basic Standard series Sakura-Sakura - Swarovski body jewelry 4.5 x 4.5 cm Glamorous show in banquets and dressing for body jewelry. Gentle to the skin care seat is safe. By rearranging parts of the color can dress according to the various scenes and costumes, arms, shoulders, neck, and back. Also as a gift please! ♦ product information ♦ -Brand Body Jewelry Viliebe -Use material crystallized - Swarovski elements pearls, skin attachment tape (conform to the ISO10993) -Product dimensions 4.5 x 4.5 cm * It is recommended to be skiing in advance. -Key features-medical gel calluses adhesion of the adhesive is very low, more gentle to the skin uses gentle to the skin for medical sheet -Body jueleeveyreebe products, Swarovski each piece lay the seal by the hands of the craftsman, has been made. 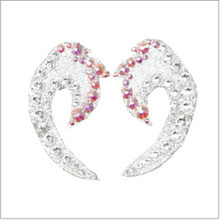 -In combination with other body j jewelry charm to elegant and luxurious that you can. ● do not store where would you care how to direct sunlight or high temperatures. Please use body creams, hand creams, Foundation and sweat is always clean. What could give it to various skin-backed mobile, glass, plastics, etc., but not suitable for. * Retains its sticky fingers with small amount of water after use, dropping dirt as stroking the gel surface, let it dry naturally. [en] [Viliebe Body Jewelry] Elegance Series Parl Flutter flutter (left) elegance Pearl Swarovski body jewelry 6 × 6 cm Glamorous show in banquets and dressing for body jewelry. Gentle to the skin care seat is safe. By rearranging parts of the color can dress according to the various scenes and costumes, arms, shoulders, neck, and back. Also as a gift please! ♦ product information ♦ -Brand Body Jewelry Viliebe -Use material crystallized - Swarovski elements pearls, skin attachment tape (conform to the ISO10993) ● product size approximately 6 cm x 6 cm * It is recommended to be skiing in advance. -Key features-medical gel calluses adhesion of the adhesive is very low, more gentle to the skin uses gentle to the skin for medical sheet -Body jueleeveyreebe products, Swarovski each piece lay the seal by the hands of the craftsman, has been made. -In combination with other body j jewelry charm to elegant and luxurious that you can. ● do not store where would you care how to direct sunlight or high temperatures. Please use body creams, hand creams, Foundation and sweat is always clean. What could give it to various skin-backed mobile, glass, plastics, etc., but not suitable for. * Retains its sticky fingers with small amount of water after use, dropping dirt as stroking the gel surface, let it dry naturally. [en] [Viliebe Body Jewelry] Elegance Series Parl Flutter flutter (right) elegance Pearl Swarovski body jewelry 6 × 6 cm Glamorous show in banquets and dressing for body jewelry. Gentle to the skin care seat is safe. By rearranging parts of the color can dress according to the various scenes and costumes, arms, shoulders, neck, and back. Also as a gift please! ♦ product information ♦ -Brand Body Jewelry Viliebe -Use material crystallized - Swarovski elements pearls, skin attachment tape (conform to the ISO10993) ● product size approximately 6 cm x 6 cm * It is recommended to be skiing in advance. -Key features-medical gel calluses adhesion of the adhesive is very low, more gentle to the skin uses gentle to the skin for medical sheet -Body jueleeveyreebe products, Swarovski each piece lay the seal by the hands of the craftsman, has been made. 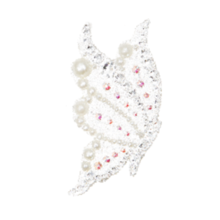 -In combination with other body j jewelry charm to elegant and luxurious that you can. ● do not store where would you care how to direct sunlight or high temperatures. Please use body creams, hand creams, Foundation and sweat is always clean. What could give it to various skin-backed mobile, glass, plastics, etc., but not suitable for. * Retains its sticky fingers with small amount of water after use, dropping dirt as stroking the gel surface, let it dry naturally. 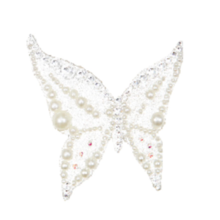 [en] [Viliebe Body Jewelry] Elegance Series Parl Swallowtail, Swallowtail (right) elegance Pearl Swarovski body jewelry 6 × 6 cm Glamorous show in banquets and dressing for body jewelry. Gentle to the skin care seat is safe. By rearranging parts of the color can dress according to the various scenes and costumes, arms, shoulders, neck, and back. Also as a gift please! ♦ product information ♦ -Brand Body Jewelry Viliebe -Use material crystallized - Swarovski elements pearls, skin attachment tape (conform to the ISO10993) ● product size approximately 6 cm x 6 cm * It is recommended to be skiing in advance. -Key features-medical gel calluses adhesion of the adhesive is very low, more gentle to the skin uses gentle to the skin for medical sheet -Body jueleeveyreebe products, Swarovski each piece lay the seal by the hands of the craftsman, has been made. 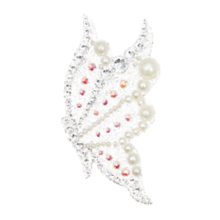 -In combination with other body j jewelry charm to elegant and luxurious that you can. ● do not store where would you care how to direct sunlight or high temperatures. Please use body creams, hand creams, Foundation and sweat is always clean. What could give it to various skin-backed mobile, glass, plastics, etc., but not suitable for. * Retains its sticky fingers with small amount of water after use, dropping dirt as stroking the gel surface, let it dry naturally. 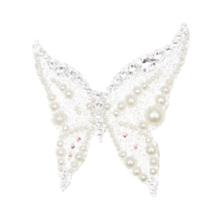 [en] [Viliebe Body Jewelry] Elegance Series Parl Swallowtail, Swallowtail (left) elegance Pearl Swarovski body jewelry 6 × 6 cm Glamorous show in banquets and dressing for body jewelry. Gentle to the skin care seat is safe. By rearranging parts of the color can dress according to the various scenes and costumes, arms, shoulders, neck, and back. Also as a gift please! ♦ product information ♦ -Brand Body Jewelry Viliebe -Use material crystallized - Swarovski elements pearls, skin attachment tape (conform to the ISO10993) ● product size approximately 6 cm x 6 cm * It is recommended to be skiing in advance. -Key features-medical gel calluses adhesion of the adhesive is very low, more gentle to the skin uses gentle to the skin for medical sheet -Body jueleeveyreebe products, Swarovski each piece lay the seal by the hands of the craftsman, has been made. 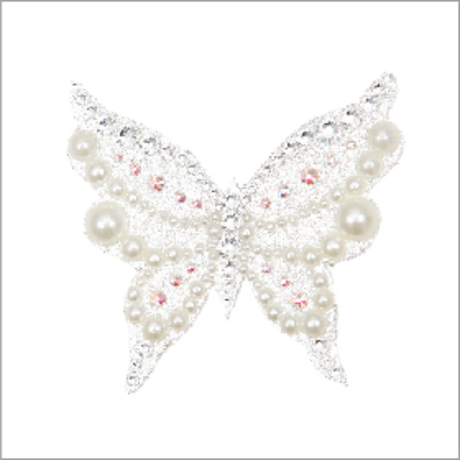 -In combination with other body j jewelry charm to elegant and luxurious that you can. ● do not store where would you care how to direct sunlight or high temperatures. Please use body creams, hand creams, Foundation and sweat is always clean. What could give it to various skin-backed mobile, glass, plastics, etc., but not suitable for. * Retains its sticky fingers with small amount of water after use, dropping dirt as stroking the gel surface, let it dry naturally. [en] [Viliebe Body Jewelry] Basic Standard Series Double Head-double head - Swarovski body jewelry 4.5 x 4.5 cm Basic, Standard series on one main point. Glamorous show in banquets and dressing for body jewelry. Gentle to the skin care seat is safe. By rearranging parts of the color can dress according to the various scenes and costumes, arms, shoulders, neck, and back. Also as a gift please! ♦ product information ♦ -Brand Body Jewelry Viliebe -Use material Crystallized - Swarovski elements pearls Skin attachment tape (conform to the ISO10993) ● product size Approximately 6 cm x 6 cm * It is recommended to be skiing in advance. -Main features -In medical gels calluses adhesion of the adhesive is very low, more gentle on the skin we use gentle to the skin for medical sheet -Body jueleeveyreebe products, Swarovski each piece lay the seal by the hands of the craftsman, has been made. 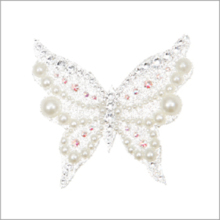 -In combination with other body j jewelry charm to elegant and luxurious that you can. -Washing instructions Do not store in would be exposed to direct sunlight or high temperatures. Please use body creams, hand creams, Foundation and sweat is always clean. What could give it to various skin-backed mobile, glass, plastics, etc., but not suitable for. * Retains its sticky fingers with small amount of water after use, dropping dirt as stroking the gel surface, let it dry naturally. [en] [Viliebe Body Jewelry] Elegance Series Parl Princess Princess elegance Pearl Swarovski body jewelry 6 × 6 cm Body jewelry at parties and dressing to the nines show... skin friendly medical seat is safe. By rearranging parts of the color can dress according to the various scenes and costumes, arms, shoulders, neck, and back. Also as a gift please! ♦ product information ♦ -Brand Body Jewelry Viliebe -Use material Crystallized - Swarovski elements pearls Skin attachment tape (conform to the ISO10993) ● product size Approximately 6 cm x 6 cm * It is recommended to be skiing in advance. -Main features -In medical gels calluses adhesion of the adhesive is very low, more gentle on the skin we use gentle to the skin for medical sheet -Body jueleeveyreebe products, Swarovski each piece lay the seal by the hands of the craftsman, has been made. -In combination with other body j jewelry charm to elegant and luxurious that you can. -Washing instructions Do not store in would be exposed to direct sunlight or high temperatures. Please use body creams, hand creams, Foundation and sweat is always clean. What could give it to various skin-backed mobile, glass, plastics, etc., but not suitable for. * Retains its sticky fingers with small amount of water after use, dropping dirt as stroking the gel surface, let it dry naturally. [en] [Viliebe Body Jewelry] Elegance Series Parl Queen Swarovski body jewelry 6 × 6 cm Body jewelry at parties and dressing to the nines show... skin friendly medical seat is safe. By rearranging parts of the color can dress according to the various scenes and costumes, arms, shoulders, neck, and back. Also as a gift please! ♦ product information ♦ -Brand Body Jewelry Viliebe -Use material Crystallized - Swarovski elements pearls Skin attachment tape (conform to the ISO10993) ● product size Approximately 6 cm x 6 cm * It is recommended to be skiing in advance. -Main features -In medical gels calluses adhesion of the adhesive is very low, more gentle on the skin we use gentle to the skin for medical sheet -Body jueleeveyreebe products, Swarovski each piece lay the seal by the hands of the craftsman, has been made. 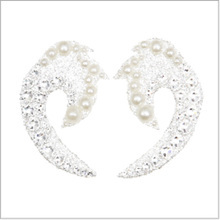 -In combination with other body j jewelry charm to elegant and luxurious that you can. -Washing instructions Do not store in would be exposed to direct sunlight or high temperatures. Please use body creams, hand creams, Foundation and sweat is always clean. What could give it to various skin-backed mobile, glass, plastics, etc., but not suitable for. * Retains its sticky fingers with small amount of water after use, dropping dirt as stroking the gel surface, let it dry naturally. [en] [Viliebe Body Jewelry] Basic Parl series Double Head-double head - Swarovski body jewelry 4.5 x 4.5 cm Basic, Standard series on one main point. Also, the combination of elegant series, including ideal. Why don't you dress up daily so, always more beautiful, and gorgeous? 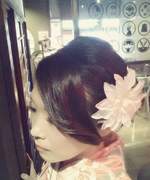 Glamorous show in banquets and dressing for body jewelry. Gentle to the skin care seat is safe. By rearranging parts of the color can dress according to the various scenes and costumes, arms, shoulders, neck, and back. Also as a gift please! ♦ product information ♦ -Brand Body Jewelry Viliebe -Use material Crystallized - Swarovski elements pearls Skin attachment tape (conform to the ISO10993) ● product size Approximately 4.5 cm x 4.5 cm * It is recommended to be skiing in advance. -Main features -In medical gels calluses adhesion of the adhesive is very low, more gentle on the skin we use gentle to the skin for medical sheet -Body jueleeveyreebe products, Swarovski each piece lay the seal by the hands of the craftsman, has been made. -In combination with other body j jewelry charm to elegant and luxurious that you can. -Washing instructions Do not store in would be exposed to direct sunlight or high temperatures. Please use body creams, hand creams, Foundation and sweat is always clean. What could give it to various skin-backed mobile, glass, plastics, etc., but not suitable for. * Retains its sticky fingers with small amount of water after use, dropping dirt as stroking the gel surface, let it dry naturally. [en] [Viliebe Body Jewelry] Elegance Parl set Flutter-flutter - x Doublehead-double head - Swarovski body jewelry Set combines the elegance series. Butterfly flapping in the double header in gorgeous women attracted more beautiful, clean that accessory. Why don't you dress up daily so, always more beautiful, and gorgeous? 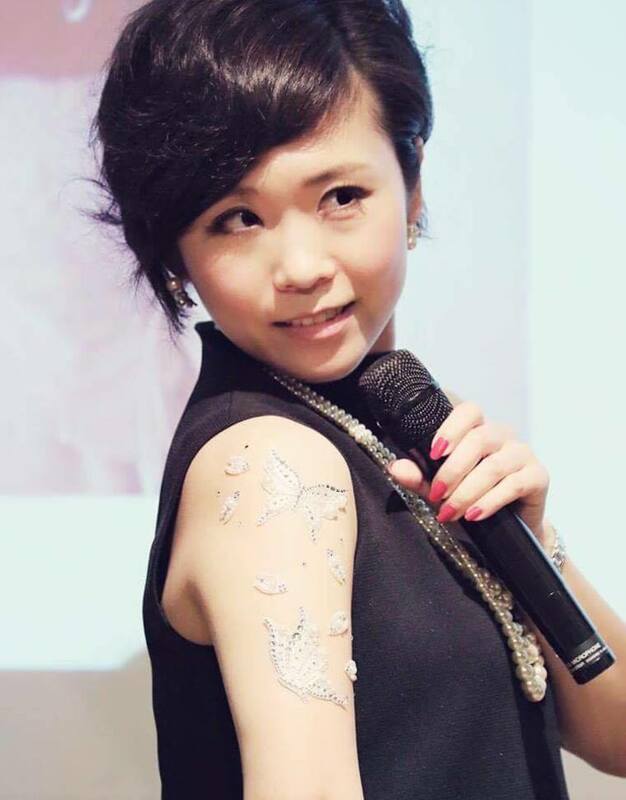 Glamorous show in banquets and dressing for body jewelry. Gentle to the skin care seat is safe. By rearranging parts of the color can dress according to the various scenes and costumes, arms, shoulders, neck, and back. Also as a gift please! ♦ product information ♦ ●Brand Body Jewelry Viliebe. 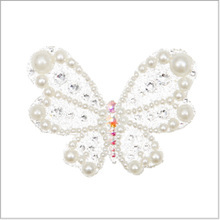 ●Use material crystallized - Swarovski elements Pearl Skin attachment tape (conform to the ISO10993) ● product size Flutter about 6 cm x 6 cm Doublehead one approx. 4.5 cm × 4.5 cm each * It is recommended to be skiing in advance. -Key features-medical gel calluses adhesion of the adhesive is very low, more gentle to the skin uses gentle to the skin for medical sheet -Body jueleeveyreebe products, Swarovski each piece lay the seal by the hands of the craftsman, has been made. -In combination with other body j jewelry charm to elegant and luxurious that you can. ● do not store where would you care how to direct sunlight or high temperatures. Please use body creams, hand creams, Foundation and sweat is always clean. What could give it to various skin-backed mobile, glass, plastics, etc., but not suitable for. * Retains its sticky fingers with small amount of water after use, dropping dirt as stroking the gel surface, let it dry naturally. Body jewelry at parties and dressing to the nines show... skin friendly medical seat is safe. By rearranging parts of the color can dress according to the various scenes and costumes, arms, shoulders, neck, and back. Also as a gift please! * It is recommended to be skiing in advance. 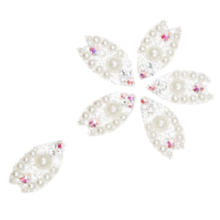 -Body jueleeveyreebe products, Swarovski each piece lay the seal by the hands of the craftsman, has been made. 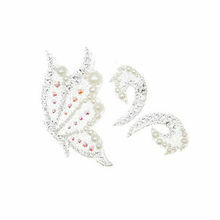 -In combination with other body j jewelry charm to elegant and luxurious that you can. Do not store in would be exposed to direct sunlight or high temperatures. Please use body creams, hand creams, Foundation and sweat is always clean. What could give it to various skin-backed mobile, glass, plastics, etc., but not suitable for. * Retains its sticky fingers with small amount of water after use, dropping dirt as stroking the gel surface, let it dry naturally.